URI makers do a surgical strike on piracy! As the film continues to set the box office on fire, the makers of URI are leaving no stone unturned to prevent the film from piracy. Performing a surgical strike on movie piracy, the makers took stringent measures to secure the film from piracy. Many of Bollywood films get uploaded on the file-sharing platform Torrent as soon as the film releases. Interestingly the makers of URI have uploaded a fake video of the film so that people would download the file and later realize that the video file is not of the film, but actually, a video made by the makers which says that they have done a surgical strike on the site and their computer. The video is a one of a kind initiative taken by the makers of the film to fight piracy of Bollywood movies. 'Uri' has taken a strong lead at the box-office with a growing trend. The movie has set the box- office on fire with collecting Fri 8.20 cr, Sat 12.43 cr, Sun 15.10 cr and 10.51 cr on Monday with 46.24 crs. 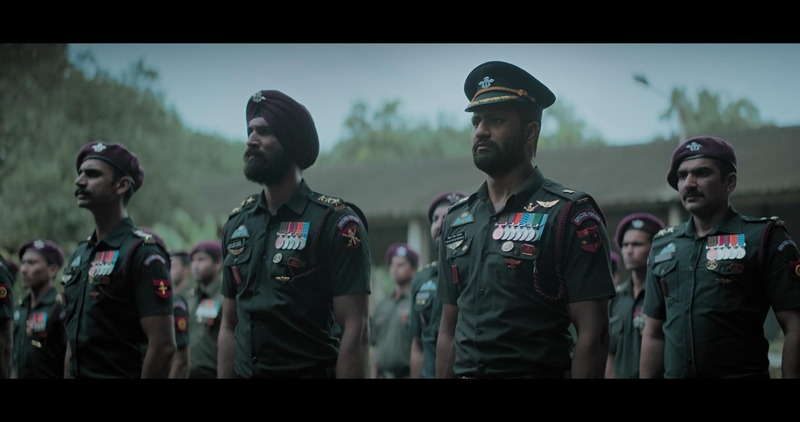 Touted to be the first content film of the year, Uri: The Surgical Strike has been winning hearts emerging to be one of the first hit of 2019.